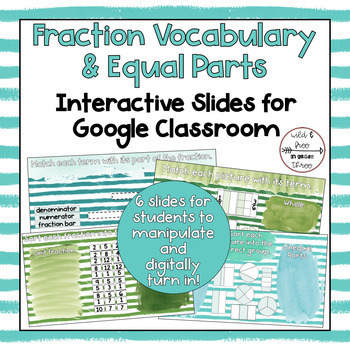 Quickly and easily create an interactive, manipulative assignment on Google Classroom for your students to complete and digitally turn-in! Using the step-by-step directions, create an assignment on Google Classroom using the interactive slides. 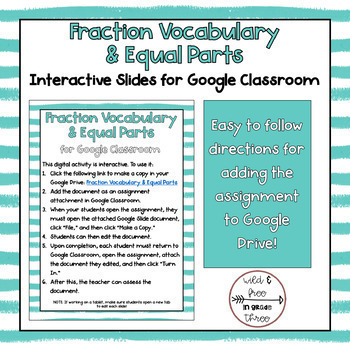 You and your students will need free Google accounts and belong to your Google Classroom to use this activity! 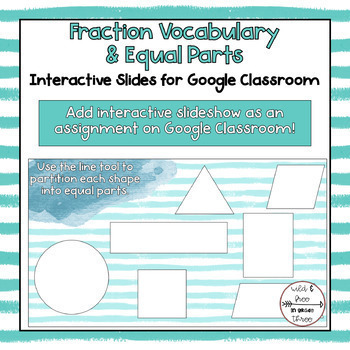 All of these activities are included in the same assignment through Google Slides! Want to learn more about Google Classroom? Click here to check out Google's education page for more information! 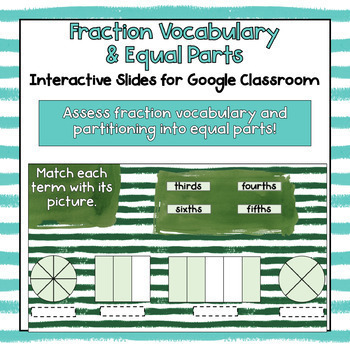 Looking for more fraction activities? Check these out!